This is a partial preview. Full document is 726 slides. View large preview. Used in real top tier consulting engagements. Comprehensive collection covering all aspects, e.g., visual concepts, frameworks, charts, maps etc. 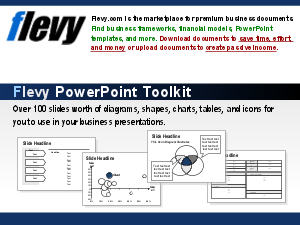 This document provides you with a comprehensive collection of over 700 high quality PowerPoint templates collected from our consulting engagements. Do you need a ready to use high quality agenda template? Or may be you are looking for ideas for a data driven or conceptual chart? You will have all you need to create beautiful and impactful presentation in just one place.